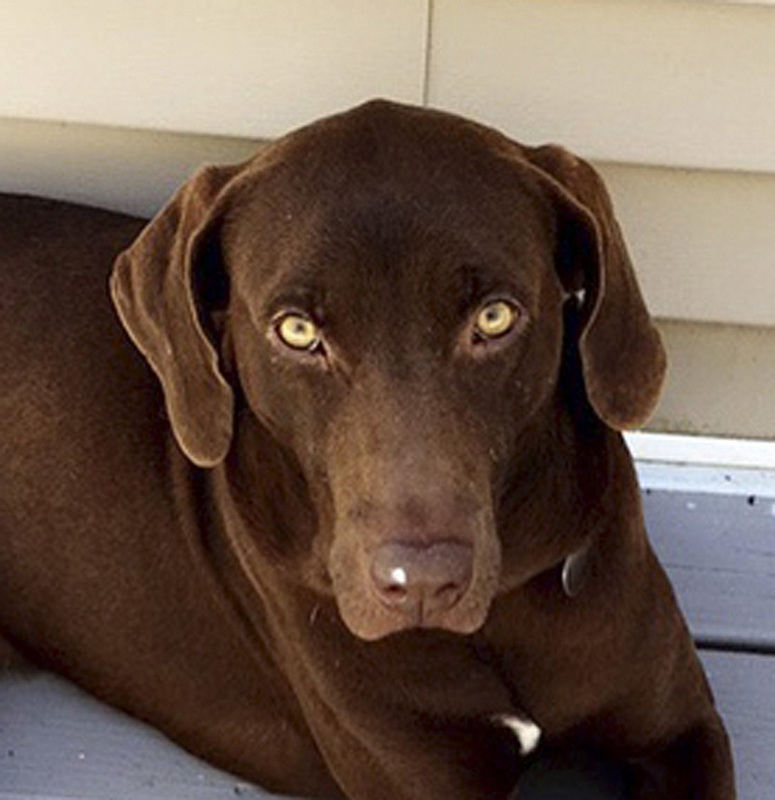 Dozens of Maine dogs are named after Patriots quarterback Tom Brady. 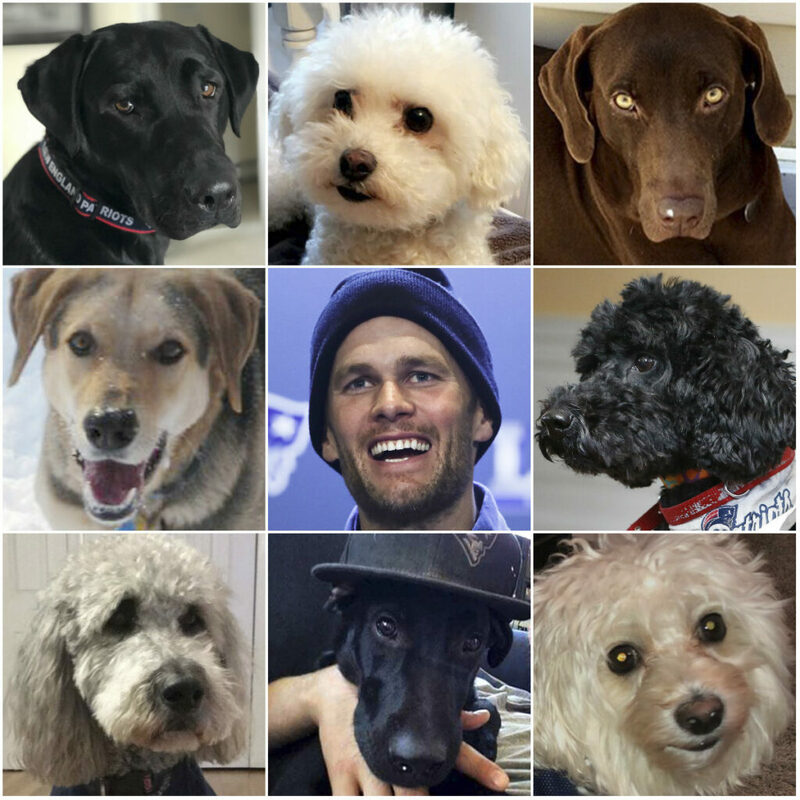 Here’s a story about some dogs named Brady (and one named Edelman, too). 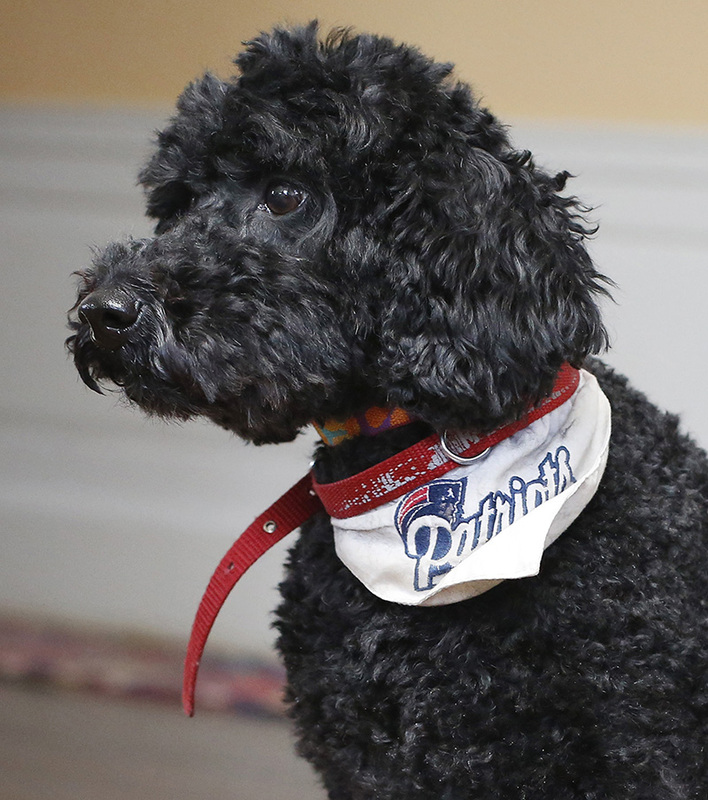 It’s no secret Maine is full of devout New England Patriots fans, so it shouldn’t come as a surprise that there are dozens of dogs across the state named after quarterback Tom Brady. But at least 18 dogs named Brady in Saco alone? “We must all understand that’s a good, strong name,” explains Lynn Copeland, a Saco resident and the proud owner of a dog named for the man who is nicknamed The GOAT. Most local towns have at least a few canine Bradys, according to dog license records. And some, like Saco, are loaded with them. Copeland adopted her Brady – “the best pup ever,” she says – from a rescue organization in 2006 when he was 6 months old. She turned to her friends for help naming her brown and black mixed-breed puppy. On Sunday, Copeland will be wearing her Tom Brady jersey as she watches the Super Bowl with canine Brady at her side. “He may not know it, but he’s a fan, too,” she said. Elsewhere in Saco, 7-month-old Brady will, if he isn’t napping or distracted, watch his first Super Bowl with his owners, Joyce and Jason Shaw. 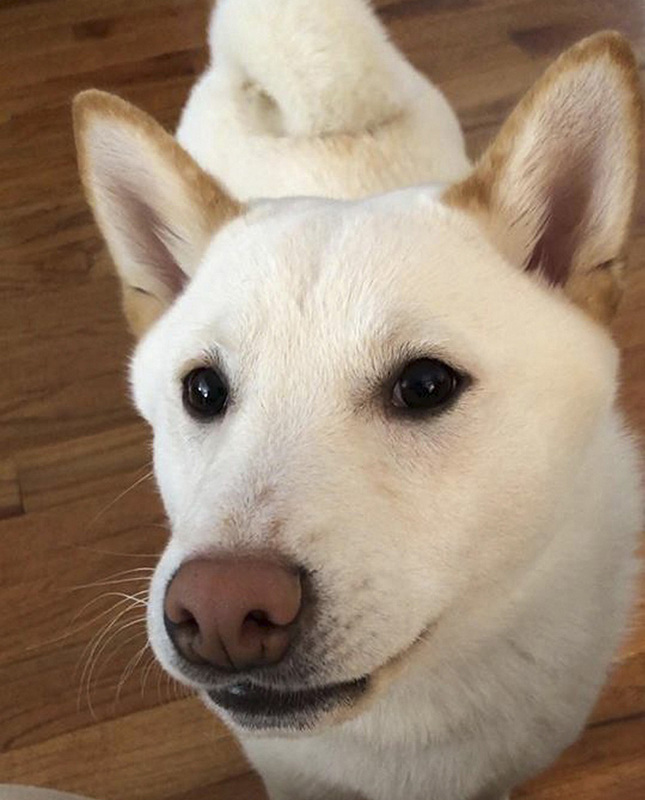 The snowy white Shiba Inu doesn’t yet have a Patriots collar, but that’s coming, said Joyce Shaw, whose sister also owns a dog named Brady. David and Janet Perkins of Saco say they’re hoping their canine Brady will have something to cheer about when game time comes. “When we’re watching the games and screaming and yelling, he’s jumping around with us,” said Janet Perkins, who adopted Brady from Texas. 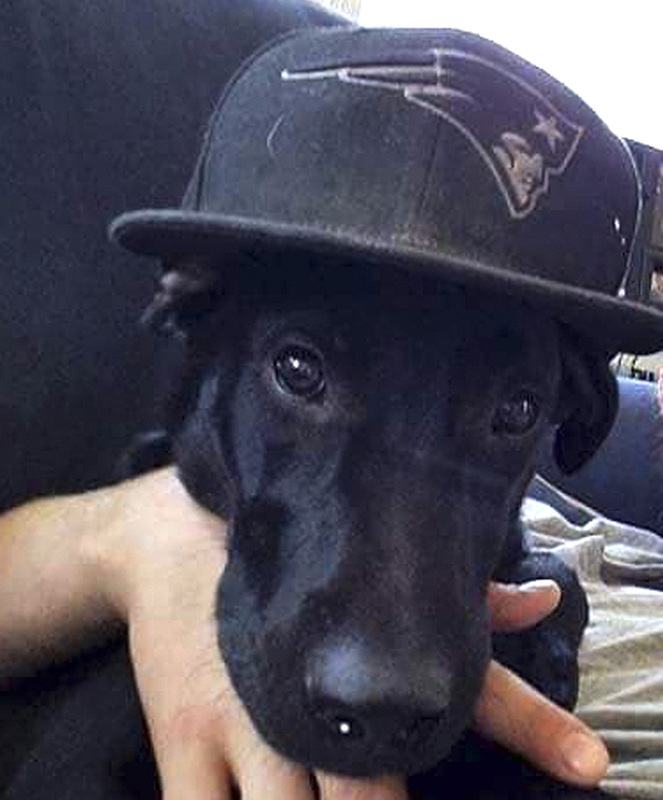 Tee Kelly of Saco named his dog Brady because he comes from a family of die-hard Patriots fans. When Kelly was young, watching Pats games was as much a part of the family’s routine as going to church. Unlike most owners of canine Bradys, Kelly took his admiration of the quarterback one step further: he named his son Thomas. 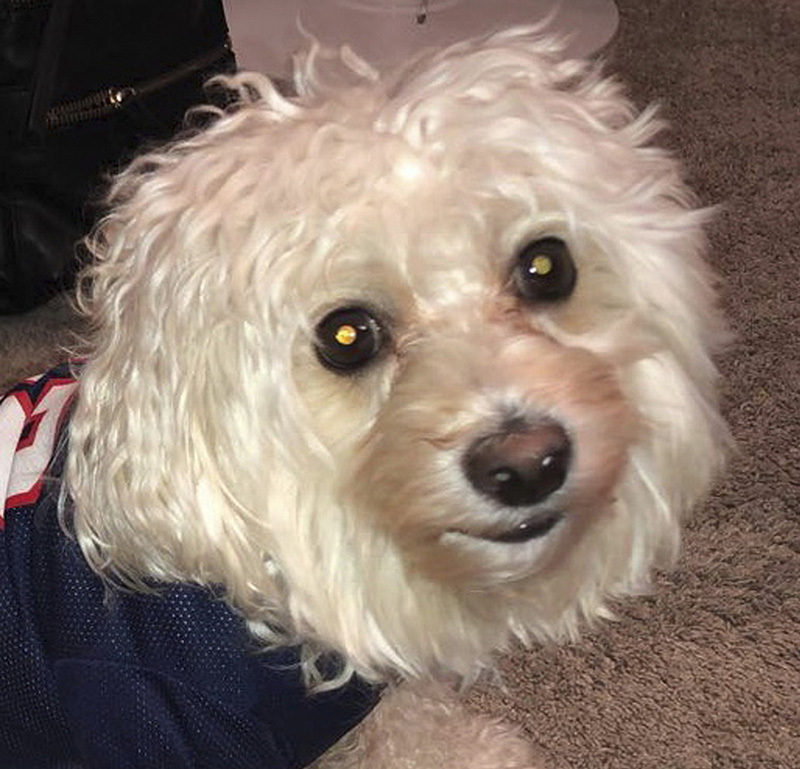 Denise Reny and her husband, Jay, of Saco, brought home their Brady in 2011, and there was little question the fluffy little maltipoo would somehow be named in honor of the Patriots. “That’s my husband’s favorite team and it’s always about the Patriots,” Denise Reny said. 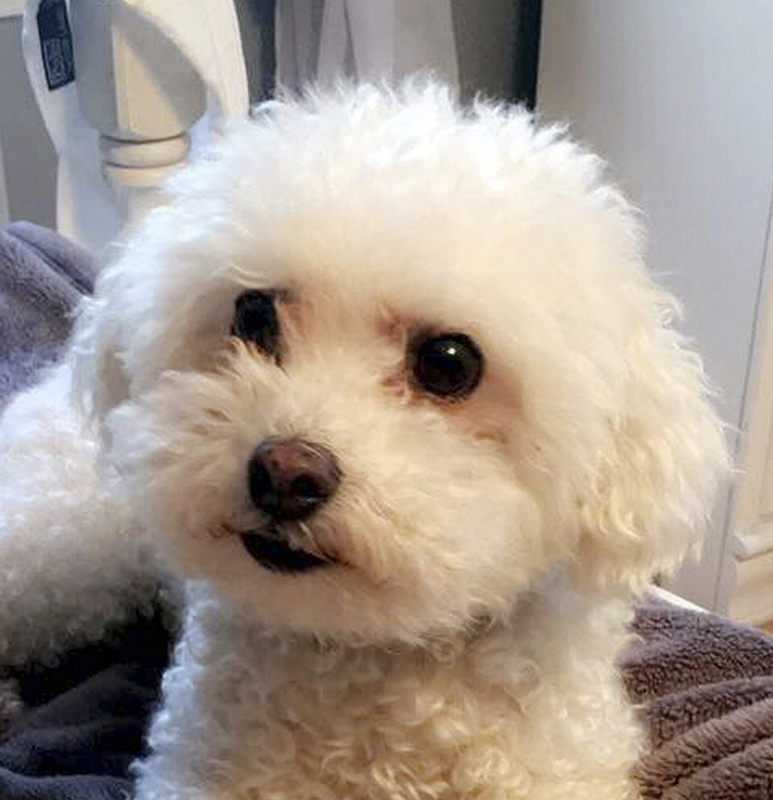 The Renys’ Brady, described as a 15-pound cotton ball by his owners, will be one of many pets sporting his own little No. 12 jersey when the Patriots take on the Rams in Atlanta. 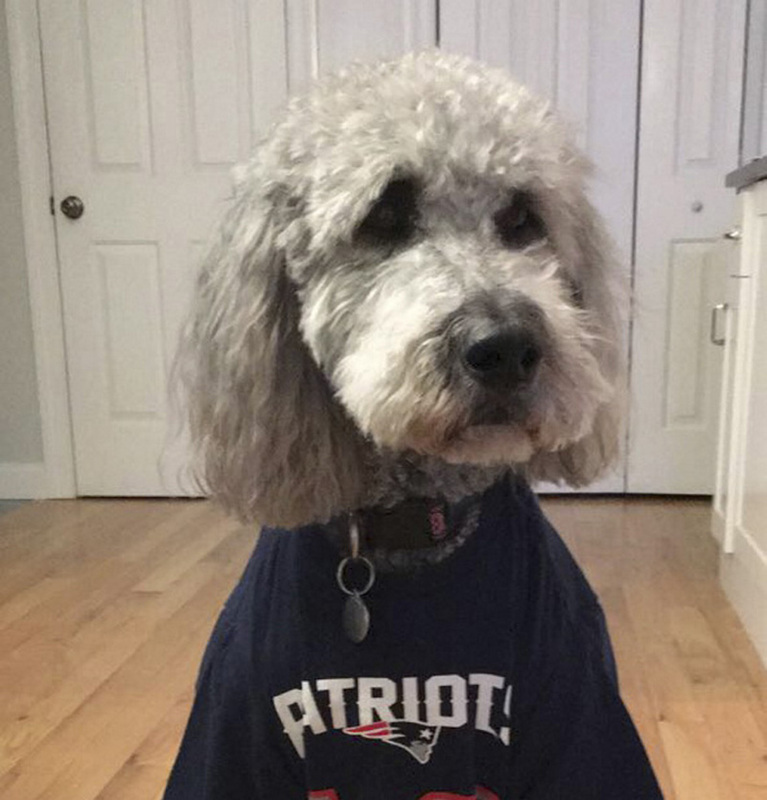 In Yarmouth, an 11-year-old bichon frisé named Brady probably won’t be dressing up in a football jersey, but he’ll “absolutely” be rooting for the Patriots and his quarterback namesake, said owner David Simsarian. Carolyn Levesque of Cumberland said her family chose the name Brady when they adopted their Labradoodle as a puppy 10 years ago. He has a Pats leash and Pats water bowl and, yes, has been known to wear No. 12. “We are huge Patriots fans and it just totally made sense,” she said. 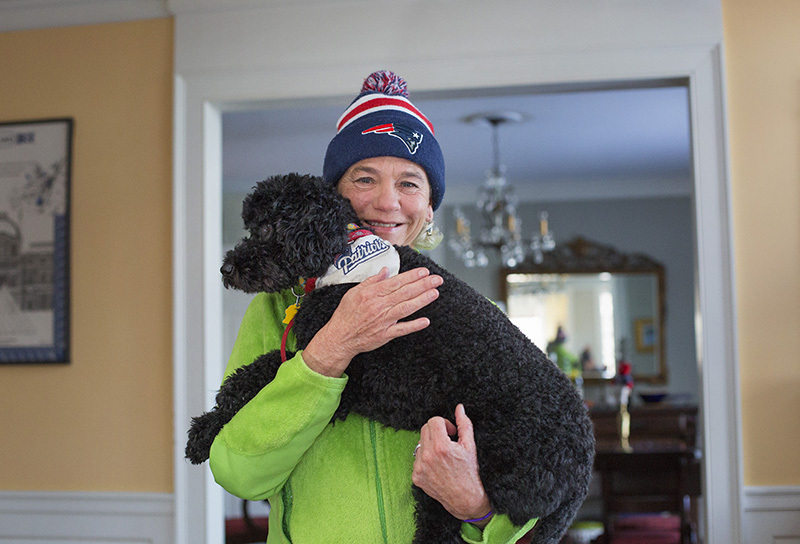 Few people may be more excited to watch the human Brady try for his sixth Super Bowl ring than Jianna Donisvitch of Scarborough, the proud owner of a black Lab named Brady. 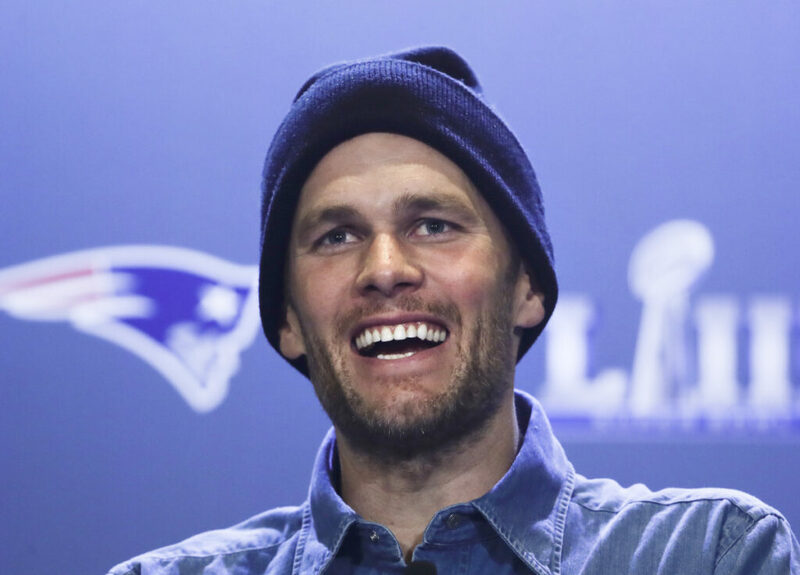 “I have been absolutely in love and obsessed with Tom Brady since he’s been around. I’ve also loved the New England Patriots and grew up watching with my grandmother,” she said. Donisvitch and her boyfriend, Cody Powers, went on their first date on Feb. 5, 2017, the last time the Patriots won a championship. Powers, who is from Michigan, has been a Tom Brady fan since the quarterback played for the University of Michigan. So when they brought home a new puppy, there was little question what to name the little black dog. 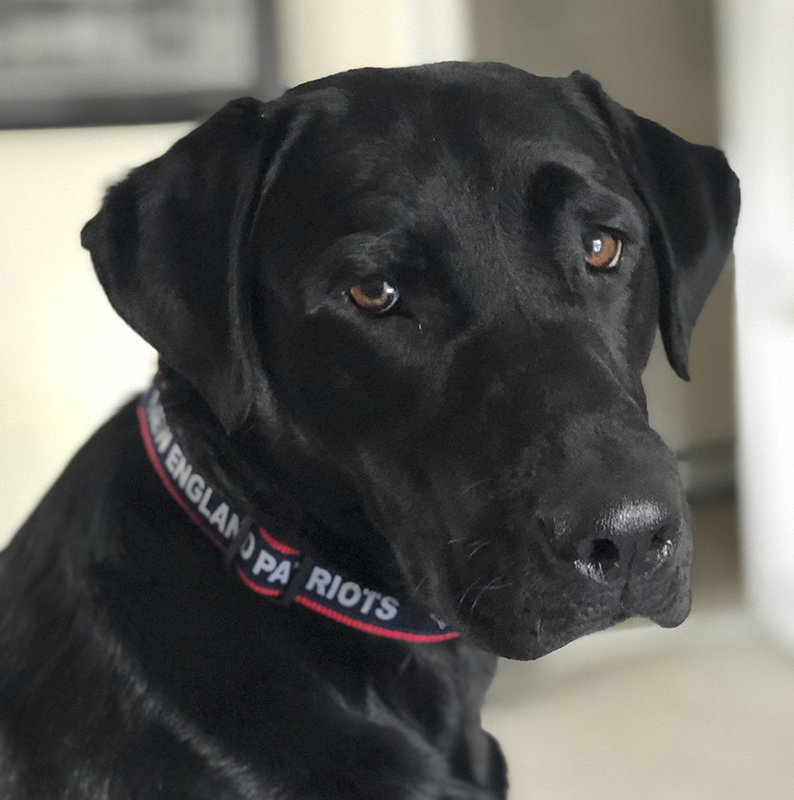 The couple’s Lab, who often wears a Patriots collar, has his own Instagram account and enjoys playing with footballs. He’s also a big fan of tearing his toys apart. “We just got him a ram so he can chew that apart,” Donisvitch said. 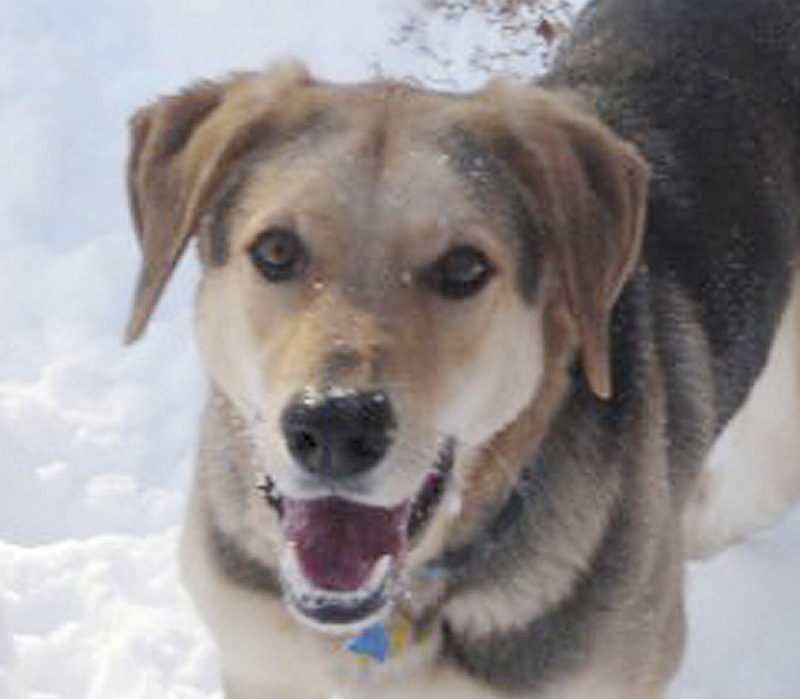 In South Portland, there are 10 dogs named Brady, according to dog license records. Brady, now 6, occasionally wears a Patriots jersey, but he’s been sporting his Patriots bandanna throughout this football season. “I suspect if we win the Super Bowl he’ll wear it for at least a month,” Batzell said. 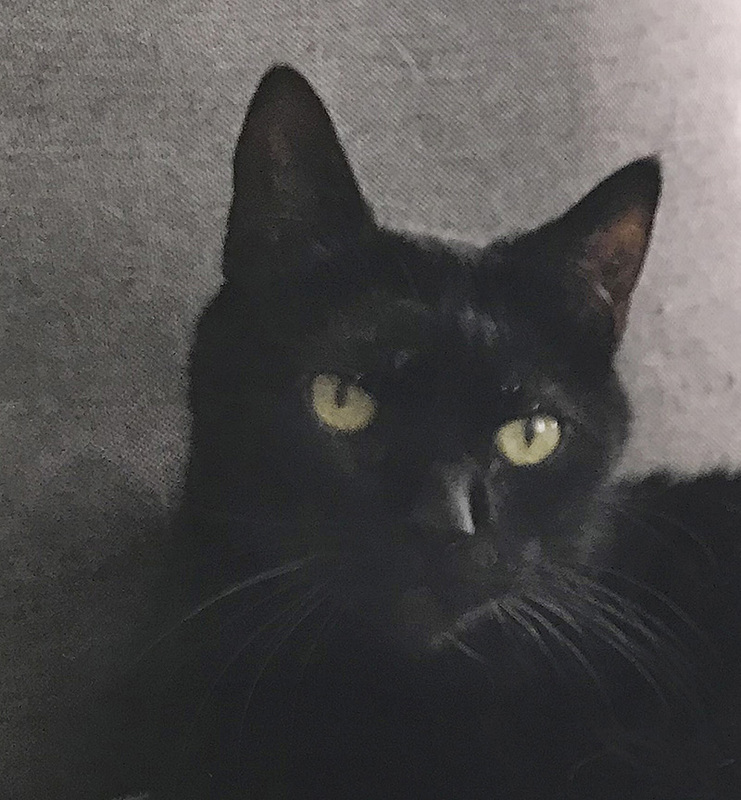 The Pats quarterback isn’t the only player on the team to have namesakes running around on four legs. Elizabeth Paradis of South Portland is a big fan of the Pats’ tough-as-nails, 5-foot-10 wide receiver, Julian Edelman. 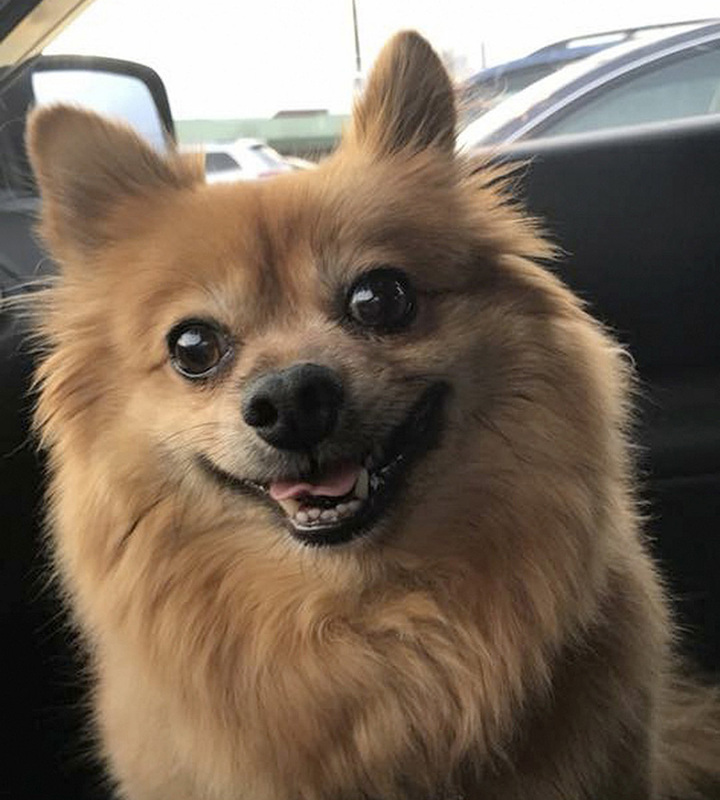 And she knew as soon as she adopted her 9-year-old Pomeranian what to name him. Paradis took a day off from work for Sunday’s game and she and Edelman will be watching at home with her family. Edelman will be wearing his little Patriots jersey. 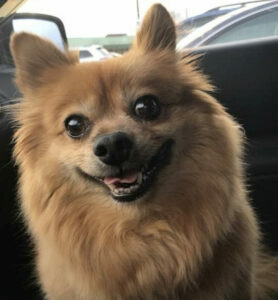 The dog and his name also may be good luck. The day Paradis adopted Edelman – Feb. 5, 2017 – the Patriots came back from a 28-3 deficit to beat the Atlanta Falcons in the Super Bowl.